"College Presidents-New Captains of the Titanic?" Minding the Campus, July.15, 2014. "Power Shift," On Campus, Vol.3, No.4, Summer, 2014. 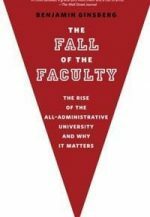 "The Faculty Continues to Fall," The Academic Exchange, Spring, 2014. "Can We Halt Administrative Bloat?" Minding the Campus, Feb. 10, 2014.131.. "Christian Zionism," in Eunice Pollack, ed., Anti-Semitism in the English-Speaking World, Academic Studies Press, forthcoming in 2014.132. "The Civic Distance Between Rulers and Ruled," co-authored with Jennifer Bachner, 2014 Annual Meeting of the American Political Science Assn., September, 2014. 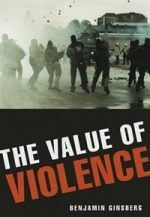 "Why Violence Works," Chronicle of Higher Education, Aug. 16, 2013. "I’m Still Afraid of the Big Bad MOOC," Minding the Campus, July 9, 2013. "Who’s Afraid of the Big Bad MOOC? (Me. )," Minding the Campus, June 27, 2013. "The MOOA’s First Assignment," Minding the Campus, June 24, 2013. "Forget MOOCs–Let’s Use MOOA," Minding the Campus, June 13, 2013.Republished in The Fiscal Times as "The Brilliant Plan That Could Save Colleges Millions," June 18, 2013. "Shared Governance," Universitas, Vol.8, March, 2013. "Wasteful and Inept Administrators are Ruining Our Colleges," Minding the Campus, Jan. 7, 2013. Republished in The Fiscal Times, Jan. 7, 2013 under the title "High-Spending College ‘Admins’ are Bleeding US Colleges." "Tenure and Academic Freedom: The Beginning of The End." Academic Matters, May, 2012.. Revised and republished in University World News, May 20, 2012. "Sarbanes-Oxley Could Save Colleges From Themselves," The Chronicle of Higher Education, Nov.20, 2011. "Universities Weaken Under the Weight of Their Own Bureaucracies," The Boston Globe, Sept. 12, 2011. "Faculty Fallout," The Scientist, Fall, 2011. "Happy Face, Glad Hand," (co-authored with Alexander Ginsberg) in Johns Hopkins Magazine, Fall, 2010. "Why University Administrators Tolerate Anti-Semitism," in Eunice Pollack, ed., Antisemitism on the Campus: Past and Present, Academic Studies Press, 2011. "The Decline of the Faculty," in Benjamin Ginsberg and Gwendolyn Mink, eds., Political Science as Public Philosophy, W.W. Norton, 2010. "The Perils of Polling," presented to the 2008 conference on Polling and Democracy, Miller Center, University of Virginia, April, 2008. 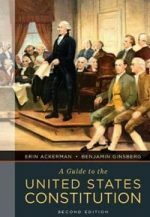 "Jews in American Politics," in Norwood and Pollack (eds. ), The American Jewish Encyclopedia, ABC-CLIO, 2007. "Because I Said So: Presidential Power," (co-authored with Matthew Crenson) American History Magazine, June, 2007. "State Autonomy and Duplicity," Critical Review 19, No. 1, 2007. "Impeachment, Quasi-Impeachment and Institutional Power," (co-authored with Martin Shefter) in Richard Ellis and Michael Nelson, eds., Debating the Presidency, Congressional Quarterly Press, 2006. "Upsizing the Presidency," (co-authored with Matthew Crenson), South Atlantic Quarterly, Winter, 2005.
Review of Paul Starr, "The Creation of the Media," Claremont Review, October, 2004. "How McCain_Feingold Downsized American Politics," in American Enterprise Magazine, October, 2004. "Downsizing Democracy," (co-authored with Matthew Crenson), in Kettering Review, December 2003. "Political Parties in the United States," Encarta, 2003. "From Popular to Personal Democracy," (co-authored with Matthew Crenson), in The National Civic Review, Summer, 2003. "From Citizens to Customers, Losing Our Collective Voice," (co-authored with Matthew Crenson), in The Washington Post, "Outlook," Nov.3, 2002, p.B1. "The Rise and Fall of the Citizen Administrator" (co-authored with Matthew Crenson), prepared for the American Society for Public Administration 2002 annual meeting, Phoenix, Arizona, March, 2002. "The 2000 Presidential Contest: Elections by Other Means" (co-authored with Martin Shefter), prepared for the CIDE conference in honor of Walter Dean Burnham, Mexico City, April, 2002. "Citizens as Customers in the New Administrative System" (co-authored with Matthew Crenson), prepared for the National Academy of Public Administration conference on government management, Washington, DC, June, 2001. Published in Benjamin Ginsberg and Thomas Stanton (eds. ), Making Government Manageable Johns Hopkins University Press, 2003. "Bush v. Gore: Political Struggle in Florida," monograph distributed by the W.W. Norton Publishing Co., February, 2001. "States Without Citizens" (co-authored with Matthew Crenson), prepared for the Johns Hopkins Center for Policy Studies conference on state/society relations, Baltimore, MD, February, 2001.
Review of The Hunting Horse: The Truth Behind the Jonathan Pollard Spy Case, Baltimore Jewish Times, December, 2000. "Polling and the Creation of a Virtual Public," prepared for the Ethics and Public Policy Center’s conference on Reason or Folly: Public Opinion and Direct Democracy, Washington, D.C., August 30, 2000. 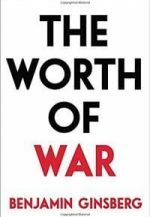 Revised and published in Elliott Abrams (ed. ), Democracy: How Direct? Views From the Founding Era and the Polling Era. Rowman & Littlefield, 2002.
Review of A Rumor About the Jews: Reflections on Antisemitism and the Protocols of the Learned Elders of Zion, Annals of the American Academy of Political and Social Science, 2001. 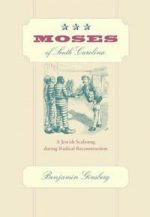 "Dilemmas of Jewish Leadership in America," presented to the Solomon Project conference on Jews in America, Washington, D.C., May 15, 2000 and published in L. Sandy Maisel (ed.) 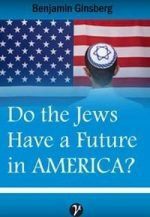 Jews in America, Rowman & Littlefield, 2001. "Non-partisanship," in Neil Smelser and Paul Baltes (eds. ), International Encyclopedia of the Social and Behavioral Sciences, Elsevier Science Ltd., 2001. "Politics Without Participation," co-authored with Matthew Crenson, prepared for the Fordham University Forum on American Politics, Bronx, New York, November, 1999 and published in Paul Kantor, et.al.(eds.) American Politics at the Millennium: Political Parties and the Future of Democracy, Congressional Quarterly Press, 2001. "Electoral Deadlock: Politics and Policy in the Clinton Era," monograph distributed by the W.W. Norton Publishing Co., February, 1999. 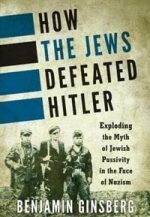 "Anti-Semitism," in Robert Wuthnow (ed.) The Encyclopedia of Politics and Religion, Congressional Quarterly Press, 1999, rev. ed., 2007. "Dilemmas of Presidential Governance," co-authored with Walter Mebane and Martin Shefter in Michael Nelson (ed. ), The Presidency and the Political System, Fifth edition, Congressional Quarterly Press, 1998. Revised for Sixth edition, 2000. "The 1996 Election and the Future of American Politics," presented to the 1997 conference of the Centro de Investigacion y Docencia Economicas, Mexico City, January, 1997. "The 1996 Elections: A Democratic Revival?" monograph distributed by the W.W. Norton Publishing Co., January, 1997. "Political Action Committees," Encarta, 1997, revised 2003. "Critical Realignment and Regime Change," co-authored with Martin Shefter, prepared for the 1996 annual meeting of the American Political Science Association, San Francisco, September, 1996.
Review of The Trouble With Friendship, Jewish Times, February, 1996. "Election," Encarta, 1996, revised 2003. "Political Campaigns," Encarta, 1996, revised 2003.
Review of Paths of Emancipation, American Political Science Review, 1997. "Ethics Probes as Political Weapons," co-authored with Martin Shefter, Journal of Law and Politics, Vol. XI, No.3, Summer, 1995.
Review of "What Went Wrong? The Creation and Collapse of the Black-Jewish Alliance," Jewish Times, February, 1995. "Voting," in Graham Molitor and George Kurian (eds.) The Encyclopedia of the Future, Macmillan Publishing Co., 1995. "The 1994 National Elections: A Debacle for the Democrats," monograph distributed by the W.W. Norton Publishing Co., January, 1995. "Political Conflict and Electorial Mobilization," co-authored with Walter Mebane and Martin Shefter in Do Elections Matter?,Third Edition, M.E. Sharpe Publishers, 1995. "Anti-Semitism: As American as Apple Pie," Forward, May, 1994. "Why Presidents Cannot Govern: Politics and Power in Contemporary America," co-authored with Martin Shefter and Walter Mebane in Michael Nelson (ed. ), The Presidency and the Political System, Fourth Edition, Congressional Quarterly Press, 1994. "Blacks and Jews: From Cooperation to Conflict," Jewish Times, February, 1994. "The Changing Relationship Between Conflict and Mobilization in American Politics," co- authored with Walter Mebane and Martin Shefter, presented to the 1993, annual meeting of the Social Science History Association, Baltimore, MD, November, 1993. "The 1992 Presidential Election: A Democratic Triumph," monograph distributed by the W.W. Norton Publishing Co., January, 1993. "The Disjunction Between Conflict and Mobilization in Contemporary America," co-authored with Walter Mebane and Martin Shefter, presented to the 1993 annual meeting of the American Political Science Association, Washington, D.C., September, 1993. "Politics Without Elections," co-authored with Martin Shefter in Eric Uslaner (ed. ), American Electoral Politics, Peacock Publishers, 1993. "The Political Uses of Political Issues," in Richard Merelman (ed. ), Language, Symbolism, and Politics, Westview Press,1992. "Can the Republicans Win the Peace?" co-authored with Martin Shefter in Lowi, Ginsberg and Hearst (eds. ), American Government: Readings and Cases, W.W. Norton, 1992. "Polling," in Allan Cigler and Burdett Loomis, American Politics, Houghton Mifflin, 1989. Second edition, 1992. "Elections and Voting Behavior," in Joel Krieger (ed. ), The Oxford Companion to Politics of the World, Oxford University Press. 1992. Revised for second edition, 2000. Revised for third edition, 2010. "Theodore J. Lowi and Juridical Democracy," co-authored with Elizabeth Sanders, PS: Political Science and Politics, December, 1990. "Instructor's Manual" for Freedom and Power in American Government co-authored with Theodore J. Lowi), W. W. Norton, 1990. Revised second edition, 1992, Revised third edition, 1994. 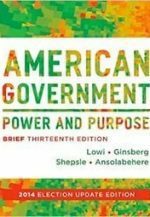 "Study Guide" for Freedom and Power in American Government (co-authored with Theodore J. Lowi), W. W. Norton 1990. Revised second edition, 1992, Revised third edition, 1994. "Political Principles and Political Interests," presented to the University of Wisconsin conference to honor Murray Edelman on the occasion of his retirement, Spring, 1990. "The Presidency and Social Forces: Creating a Republican Coalition," co-authored with Martin Shefter in Michael Nelson (ed. ), The Presidency and the Political System, Third Edition, Congressional Quarterly Press, 1990. "Electoral Decay and the Power of the American State," co-authored with Martin Shefter in Benjamin Ginsberg and Alan Stone (eds. ), Do Elections Matter?, Second Edition, M.E. Sharpe Publishers, 1990. "After the Reagan Revolution: Toward A Post-Electoral Politics?" co-authored with Martin Shefter in Lawrence Berman (ed. ), Looking Back on the Reagan Presidency, Johns Hopkins University Press, 1990. "How Polling Transforms Public Opinion," in Michael Margolis and Gary Mauser (eds. ), Manipulating Public Opinion, Dorsey Press, 1989. "Campaign Consultants," PS: Political Science and Politics, Winter, 1989. "Politics and the Decline of the American State," co-authored with Martin Shefter, presented to the annual meeting of the American Political Science Association, Atlanta Georgia, September, 1989. "Political Parties, Electoral Politics and Institutional Conflict," co-authored with Martin Shefter, presented to the annual meeting of the American Political Science Association, Washington, D.C., September, 1988. "How Governments Shape Public Opinion," presented to the annual meeting of the International Political Science Association, Washington, D.C., September, 1988. "Toward a Post-electoral Politics?" co-authored with Martin Shefter, presented to the "Legacy of the Reagan Presidency," conference, Institute of Governmental Affairs, University of California, Davis, CA, May, 1988.
Review of What Americans Really Think, The Nation, Summer, 1988.
Review of Impact: How the Press Affects Federal Policymaking, The Philadelphia Inquirer, February, 1987. "The Supreme Court and the New Politics of Judicial Power," co-authored with Mark Silverstein, Political Science Quarterly, Fall, 1987. "The Power of the Media," Proceedings of the 1987 International Institute of Geopolitics International Symposium, IIG Press, 1987. "The Presidency and the Organization of Interests: From the New Deal to Ronald Reagan," co-authored with Martin Shefter, in Michael Nelson (ed. ), The Presidency and the Political System, Second Edition, Congressional Quarterly Press, 1987. "Polling as a Political Institution," The Polling Report, March, 1987. "Institutional Realism and Institutional Conflict: The Iran-Contra Case," co-authored with Martin Shefter, presented to the annual meeting of the American Political Science Association, Chicago, IL, September, 1987. "The Media and the Market," presented to the Institut Internationale de Geopolitique, Symposium on "Media, Power and Democracy," Paris, France, May, 1987. "The Domestication of Public Opinion," presented to the annual meeting of the Pacific Coast Association for Public Opinion Research, Berkeley, CA, April, 1987. "Controlling Opinion Through Market Mechanisms," presented to the 1987 annual meeting of the Midwest Political Science Association, Chicago, IL, April, 1987. "Creating a Supply Side Society," co-authored with Martin Shefter, presented to the annual meeting of the American Political Science Association, Washington, D.C., September, 1986. "Institutionalizing the Reagan Regime," co-authored with Martin Shefter, in Ginsberg and Stone (eds. ), Do Elections Matter? M. E. Sharpe Publishers, 1986. "Primary Elections and the Evanescence of Third Party Activity in the United States," co-authored with Peter Galderisi, in Ginsberg and Stone (eds. ), Do Elections Matter? M. E. Sharpe Publishers, 1986. "The Impact of Campaign Contributions on Congressional Voting," co-authored with John Green, in Ginsberg and Stone, (eds. ), Do Elections Matter? M. E. Sharpe Publishers, 1986. "Why Reaganism Will be With Us into the 21st Century," co-authored with Martin Shefter in The Washington Post.Sunday, September 15, 1985. Reprinted in The Washington Post, National Weekly Edition, September 30, 1985. Reprinted in Bruce Stinebrickner (ed.) American Government, Dushkin Publishing, 1989. Reprinted in William Grover and Joseph Peschek, Voices of Dissent, HarperCollins Publishers, 1992. "Standing the New Deal on its Head: Ronald Reagan and the Reconstitution of American Politics," co-authored with Martin Shefter, presented to the annual meeting of the American Political Science Association, New Orleans, LA, September, 1985. "L'elezione 1984 e il futuro della politica americana," co-authored with Martin Shefter in Politica ed Economia, 1985. "A Critical Realignment? 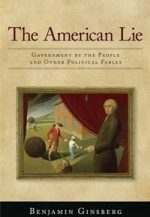 The New Politics the Reconstituted Right and the 1984 Election," co-authored with Martin Shefter, in Michael Nelson (ed. ), The Elections of 1984, Congressional Quarterly Press, 1985. "Money and Power. 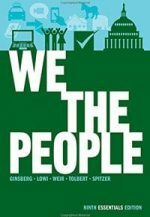 The New Political Economy of American Elections," in Thomas Ferguson and Joel Rogers (eds. ), The Political Economy: Readings in the Politics and Economics of American Public Policy, M. E. Sharpe Publishers, 1984. "The Government of Opinion: Beyond 1984," theme paper for "The Structure of Political Thinking" section of the 1984 annual meeting of the American Political Science Association, Washington, D. C., September, 1984. "The International Political Economy, Domestic Alignments, and the 1984 Election," co-authored with Martin Shefter, presented to the annual meeting of the American Political Science Association, Washington, D.C., September, 1984. "Electoral Politics and the Redistribution of Political Power," presented to the annual meeting of the American Political Science Association, Chicago, Illinois, September, 1983. "Public Opinion vs. Polled Opinion," presented to the annual meeting of the American Political Science Association, Denver, Colorado, September, 1982.
Review of Party Coalitions: Realignments and the Decline of the New Deal Party System, Perspective, 1982.
Review of Emerging Coalitions in American Politics, Sociology and Social Research, 1981. "American Politics in the 21st Century: Grand Illusions," The Executive, Spring, 1981. "The Democratic Election as a Political Institution," presented to the annual meeting of the American Political Science Association, New York, New York, September, 1981. "Elections and the Limits of Mass Influence in Political Life," presented to the annual meeting of the New York State Political Science Association, New York, New York, April, 1981. "Public Regulation of the Political Process," presented to the annual meeting of the Southwest Political Science Association, Dallas, Texas, March, 1981.
Review of Understanding Modern Government, American Political Science Review, 1980. "The Institutionalization of Mass Influence in Politics," presented to the annual meeting of the Social Science History Association, Rochester, New York, October, 1980. "The Best Congress Money Can Buy," co-authored with John Green, presented to the 1979 annual meeting of the American Political Science Association, New York, NY. "Participation and Party Survival," co-authored with Robert Weissberg, presented to the annual meeting of the Southwest Political Science Association, Houston, Texas, April, 1978.
Review of Taxation and Political Change, American Political Science Review, 1978. "Elections as Legitimizing Institutions," co-authored with Robert Weissberg, in Jeff Fishel (ed. ), Parties and Elections, Indiana University Press, 1978. "Crime Control as Public Policy," in Theodore J. Lowi and Alan Stone (eds. ), Nationalizing Government. Russell Sage, 1978. "Elections and the Mobilization of Popular Support," co-authored with Robert Weissberg, American Journal of Political Science. February, 1978. "Irresponsible Parties, Responsible Party Systems," co-authored with Peter S. Galderisi, presented to the annual meeting of the American Political Science Association, Washington, D.C., September, 1977. Rejoinder to comments on "Elections and Public Policy," American Political Science Review, March, 1977.
Review of American Party Platforms, American Political Science Review, March, 1977. "The Impact of the Direct Primary on Party Systems," co-authored with Peter S. Galderisi, presented to the annual meeting of the Social Science History Association, Philadelphia, Pennsylvania, October, 1976. "Elections and Public Policy," American Political Science Review, March, 1976.
Review of Urban Liberalism and Progressive Reform, Social Science Quarterly, 1975. "Critical Elections and the Substance of Party Conflict: 1844-1968," American Journal of Political Science, November, 1972. "Berman v. Parker: Congress, the Court, and the Public Purpose," Polity, Autumn, 1971. Dean’s Award for Excellence in Research, 2014. Fellow, National Academy of Public Administration, 2010. President, National Capitol Area Political Science Association, 2002-04. 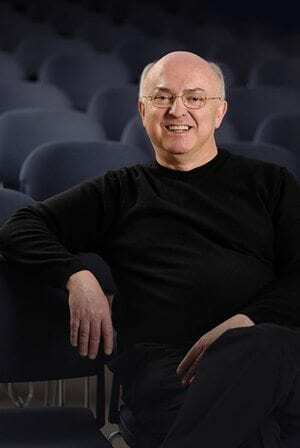 William Weber Lecturer in Government and Society, Kalamazoo College, 2004. Named outstanding undergraduate adviser, Johns Hopkins University, 2002. Private donor and foundation funding for the Johns Hopkins Washington Center, 1993 to present. George E. Owen Award for outstanding teaching and service, presented at commencement by the Class of 2000, Johns Hopkins University, June, 2000. Oraculum Award for Excellence in Teaching, Johns Hopkins University, 1993. Exxon Foundation Lecturer, The University of Chicago, Committee on Social Thought, 1992. Taft Memorial Lecturer, University of Cincinnati, 1991. U.S. Department of Justice, Bureau of Justice Statistics grant, 1986. Cornell University Jonathan R. Meigs grants, 1973 through 1991. Cornell University Summer Research grant, 1973. John L. Senior, Post-Doctoral Fellowship 1972-1973. NIMH Public Policy Fellowship, 1968-1972. University of Chicago Trustees' Scholarship, 1964-1968.